Despite popular opinion, faith isn’t believing without evidence. In fact, it’s the opposite. Biblical faith is trusting in what you have good evidence to believe is true. And there is plenty of biblical evidence to back this up. Another member of the religious meme complex is called faith. It means blind trust, in the absence of evidence, even in the teeth of evidence. The story of Doubting Thomas is told, not so that we shall admire Thomas, but so that we can admire the other apostles in comparison. Thomas demanded evidence. … The other apostles, whose faith was so strong that they did not need evidence, are held to us as worthy of imitation. We’re told that Thomas demanded evidence and the other disciples didn’t. Moreover, we should denounce the reasonable faith of the former and imitate the blind faith of the latter. After all, Jesus said, “Have you believed because you have seen me? Blessed are those who have not seen and yet have believed” (John 20:29). So, it is argued, the kind of faith endorsed by the Bible is baseless and unwarranted. Ironically, this text actually teaches the exact opposite of what Dawkins and others believe. This is fairly easy to demonstrate. Properly interpreting any isolated verse of Scripture requires an adequate understanding of its context. Beginning at verse 19, John describes how Jesus appeared to the disciples in the upper room after His resurrection. However, we’re told that Thomas was not present. When Thomas finds out what happened, he does not believe the testimony of the disciples. Rather, he says, “Unless I see in His hands the imprint of the nails, and put my finger into the place of the nails, and put my hand into His side, I will not believe” (John 20:25). At this point, Thomas has evidence for the resurrection: eyewitness testimony. Unfortunately, Thomas is not content with this evidence. He wants more. Eight days later, his disciples were inside again, and Thomas was with them. Although the doors were locked, Jesus came and stood among them and said, “Peace be with you.” Then he said to Thomas, “Put your finger here, and see my hands; and put out your hand, and place it in my side. Do not disbelieve, but believe.” Thomas answered him, “My Lord and my God!” Jesus said to him, “Have you believed because you have seen me? Blessed are those who have not seen and yet have believed” (John 20:26-29). Jesus’ response is very important. He describes two groups of people: those who see and believe, and those who never see and believe. All of the disciples saw the risen Jesus and believed. However, the vast majority of Christians who have ever lived have not seen and have come to believe — including Christians alive today. Doesn’t this mean that faith isn’t based on evidence? Absolutely not! We have a different kind of evidence. We don’t get to physically see and touch the wounds of the resurrected Christ, but we have the eyewitness testimony of those who did. Do you see it? This text isn’t against evidence for faith. In fact, this text is part of the evidence for faith. There are those who see the evidence and believe, and there are those who read the evidence and believe. But make no mistake; both rest on the firm foundation of the evidence. John tells us that Jesus did many miracles that were never recorded, but these miracles — including Jesus’ resurrection appearances — are recorded so that we can read the evidence and respond in faith. It’s ironic that people pick the story of doubting Thomas to show that evidence and belief are at odds since John includes the story for one simple reason: evidence for belief. Biblical faith is based on evidence. That’s what the story of doubting Thomas is all about. Originally appeared at Stand to Reason. Reprinted with permission. Richard Dawkins, The Selfish Gene, 198. The only disciple who believed before seeing the risen Christ was John. 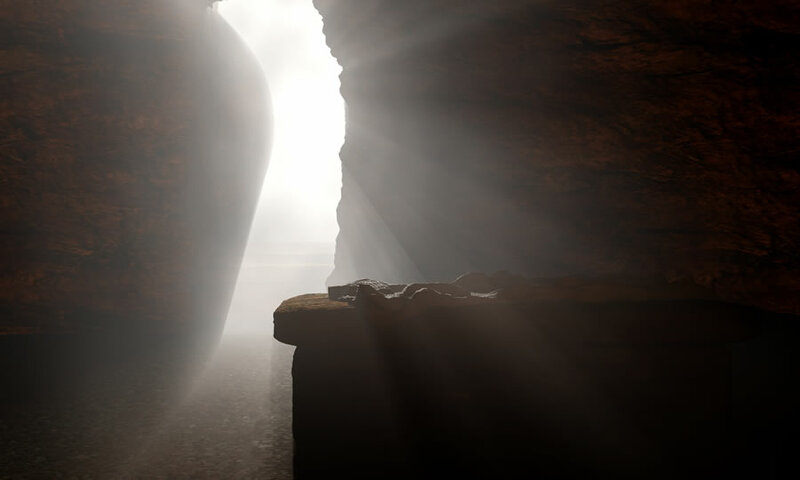 “Then the other disciple, who had reached the tomb first, also went in, and he saw and believed” (John 20:8). Notice again, John proclaimed the evidence — what they heard, saw, and touched — so that those who came after the disciples would believe and have fellowship with them. Faith is what allows us to believe something is true without having enough evidence to know that something is true. Faith is a bridge between evidence and belief. If there’s a lot of evidence then belief needs only a little faith. If there’s little evidence then belief needs a lot of faith. So you dispute Mr. Barnett’s definition of faith as he uses it in the first paragraph above. Yes, I dispute his definition. I think he’s trying to inappropriately use the definition of faith where it’s a synonym of belief. In large measure, your disagreement with Mr. Barnett stems from a preference for a common but misguided definition of faith that does not match the Bible’s use of the term. The late pastor-theologian James Montgomery Boice wrote a helpful chapter in his book “Awakening to God” in which he starts by discussing how people misunderstand the word. Faith, in biblical terms, is not subjective, based on feelings, without regard for the objective truth of God’s revelation. Faith is also not credulity (which is close to your preferred definition as stated in your first post), “the attitude of people who will accept something as true apart from evidence simply because they earnestly wish it to be true.” Faith is also not optimism, or positive thinking. Boice summarized his points by observing that “real faith is not at all based on a person’s individual attitudes and feelings. In the context of these human definitions faith is unstable. In the context of biblical teaching faith is reliable, for it is faith in the trustworthy God, who reveals himself reliably.” The rest of the chapter explores the Bible’s teaching on the nature of faith. At basis, faith is putting your trust in someone who has proven himself worthy of that trust, someone who can be counted upon to fulfill his promises. True faith in God is something that you can, metaphorically, take to the bank. You’re trying to define faith based on faith in the Bible. What do you call that which makes it possible for a person to believe something is true when there’s little to no evidence that it’s true or the evidence is contrary to it being true? “You’re trying to define faith based on faith in the Bible.” Yes, because that’s the sense in which Mr. Barnett is using the word. You objected to his definition; my point was to show that he’s being internally consistent. Perhaps you don’t like that definition. Fine–show us that the Bible has a different concept in mind. “What do you call that which makes it possible for a person to believe something is true when there’s little to no evidence that it’s true?” Credulity, perhaps gullibility. “Or that the evidence is contrary to it being true?” Irrationality. Okay, Mr. Barnett’s definition of faith is internally consistent with the Bible. I still don’t agree with his definition. Gullibility and irrationality. Religious faith depends on them. So you’ll reject the biblical use of the word “faith” because you don’t like the definition. Who’s being irrational now? Your final observations may be true of many persons who embrace faith (or what they think of as faith). But it is not true of biblical Christianity. Hebrews 11:1 says that faith is the evidence of things not seen. So, if I have faith that something I can’t see exists then that’s evidence that it really does exist. Since I now have evidence that this something exists that means faith is based on evidence. How can faith be its own evidence? Seems irrational. Hold on to this trustworthy saying: “A text without a context is a pretext.” Hebrews 11:1 does not sit suspended in midair in the middle of the epistle (or sermon, depending on your view of the author’s purpose in writing). Back up to chapter 10, where the author exhorts his readers/hearers to perseverance under opposition. “Remember those earlier days after you had received the light, when you stood your ground in a great contest in the face of suffering. Sometimes you were publicly exposed to insult and persecution; at other times you stood side by side with those who were so treated. You sympathized with those in prison and joyfully accepted the confiscation of your property, because you knew that you yourselves had better and lasting possessions. So do not throw away your confidence; it will be richly rewarded. You need to persevere so that when you have done the will of God, you will received what he has promised. For in just a very little while, ‘He who is coming will come and will not delay. But my righteous one will live by faith. And if he shrinks back, I will not be pleased with him.’ But we are not of those who shrink back and are destroyed, but of those who believe and are saved. Now faith is being sure of what we hope for and certain of what we do not see. This is what the ancients were commended for.” And what follows is the great catalog of those who trusted God–had faith in him–and triumphed, not according to the things of this world but of God. You should be able to see readily that the faith the author speaks of is trust in a God who has proven himself trustworthy, that we may rely on him to keep his promises because he has always done so, that even though we do not yet see/realize for ourselves these promises we can rest in the assurance that he will deliver on them. That is what the author means when he says that faith is being certain of what we do not see–not that there is no evidence for belief (far from that), but that God is so trustworthy we can count on him completely. Faith is founding oneself in God.